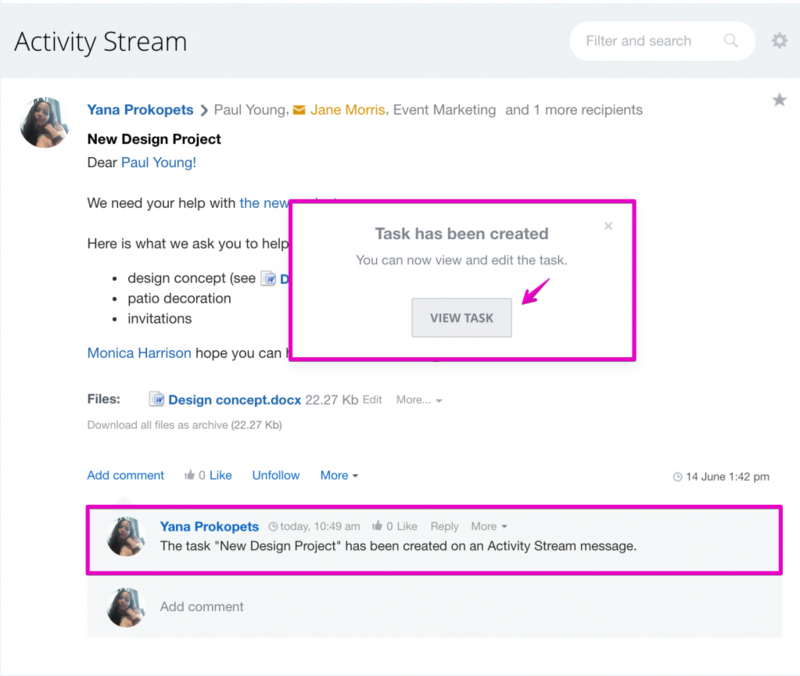 Activity Stream is great for discussing ideas but when it’s time to act you need to switch to tasks. 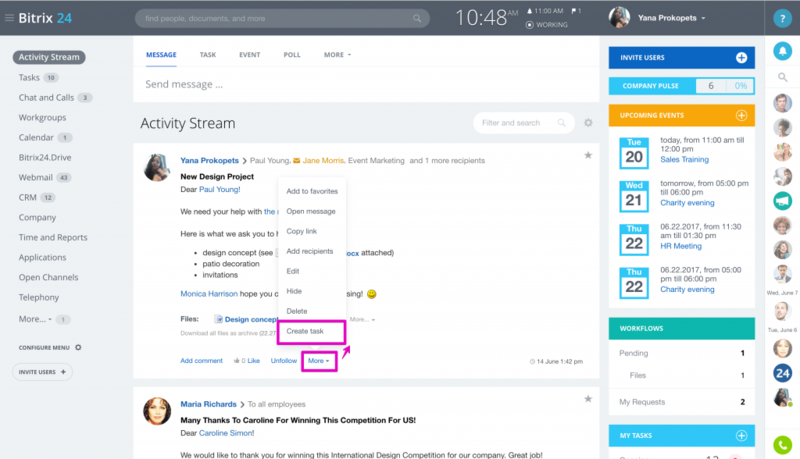 Now you can convert any post or comment to a task. Simply click ‘More’ and select Create task. The contents of the post/comment will be automatically inserted into the newly created task. You can find this task among others under Tasks > My Tasks.